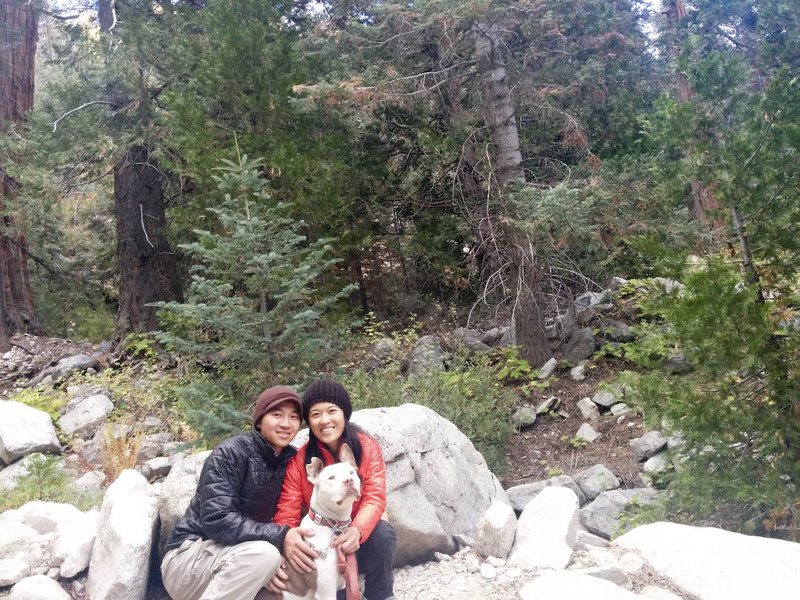 Best Time: All year round, water is abundant throughout the trail! Special Conditions: Permit needed for over night camping. 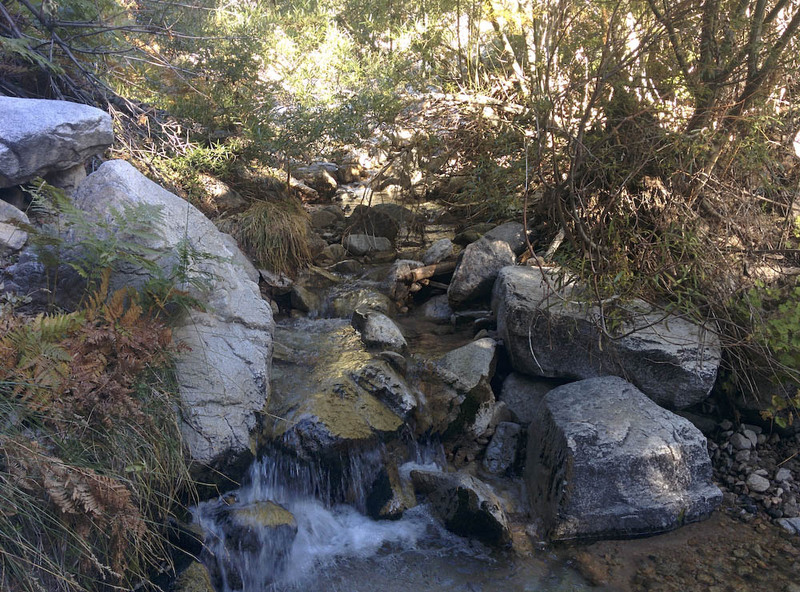 One of the lowest points in San Gorgonio, water is available pretty much all year round. 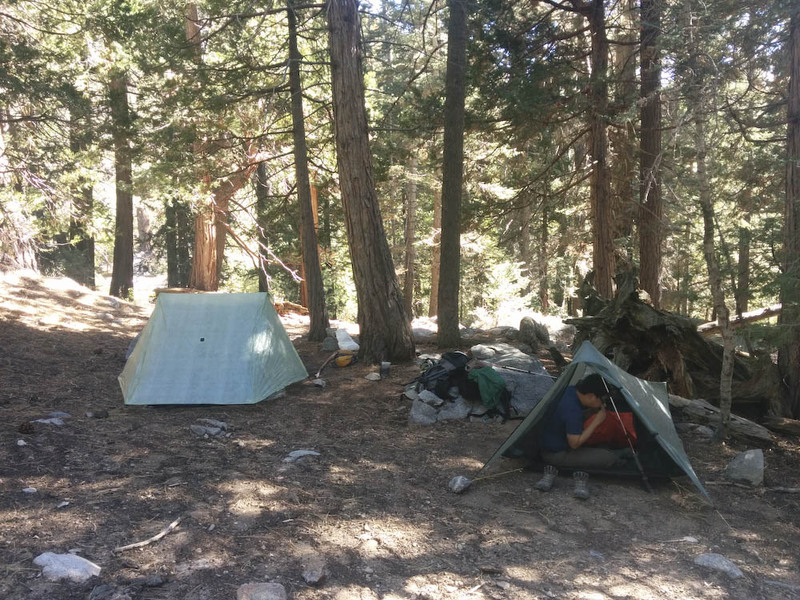 We headed out to San Bernardino National Forest a couple weekends ago for a quick one night backpacking trip. The weather was gorgeous, perfect for a fall hike near home. The drive to the trail head is short, it only took about an hour and a half from Orange County. We arrived at the trailhead around 11AM. 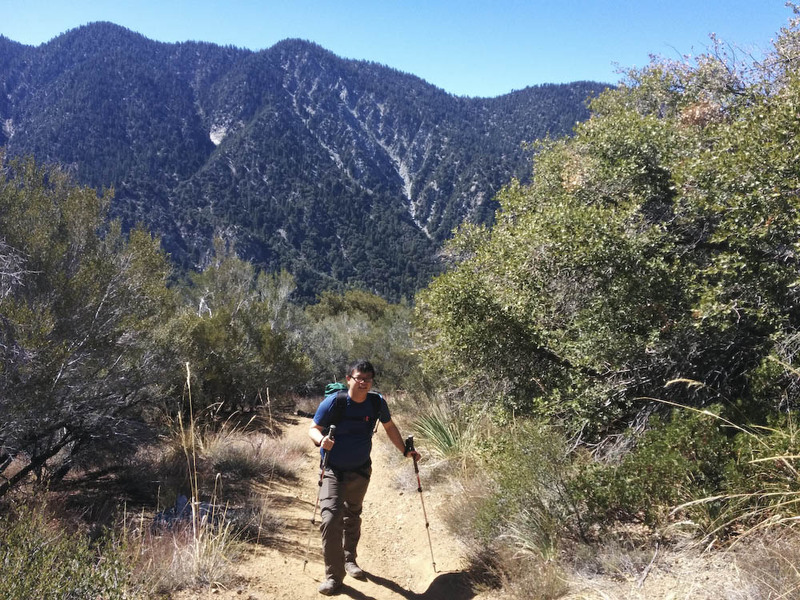 Similar to the San Bernardino trail, the first three miles of the hike was steep, about 2,000 feet gain in elevation before it levels out the last couple of miles. Compared to the other trails around the same region, this was not as well maintained, there were lots of loose gravel and rocks on the trail that made walking down hill a little more difficult. 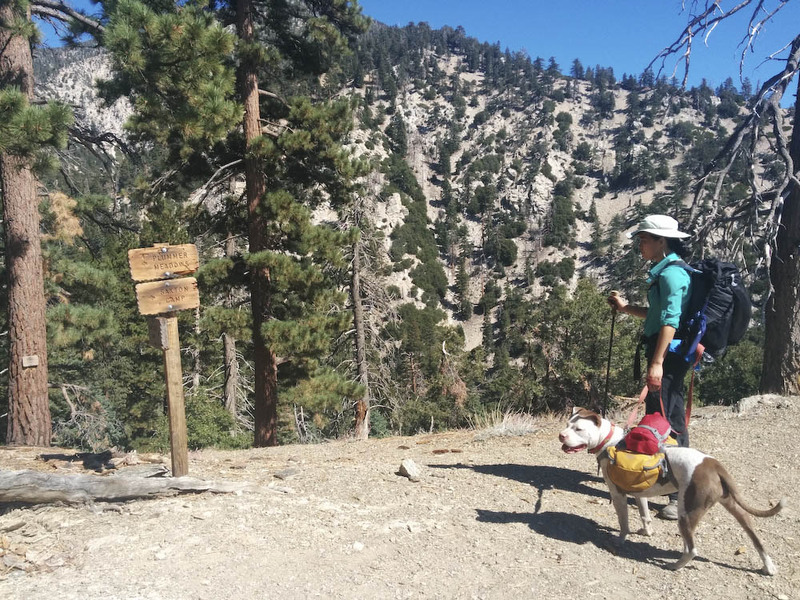 Be sure to bring your hiking poles for more support on this trail! Alger Creek camp is the first campground we arrived at 3.7 miles in. We couldn’t believe how full the creek was, you can see how green the vegetations are around the creek from the photo above. Our destination that night was Dodds camp, which was 2 miles further in. The photo above is at the 5 mile marker to Dodds camp. 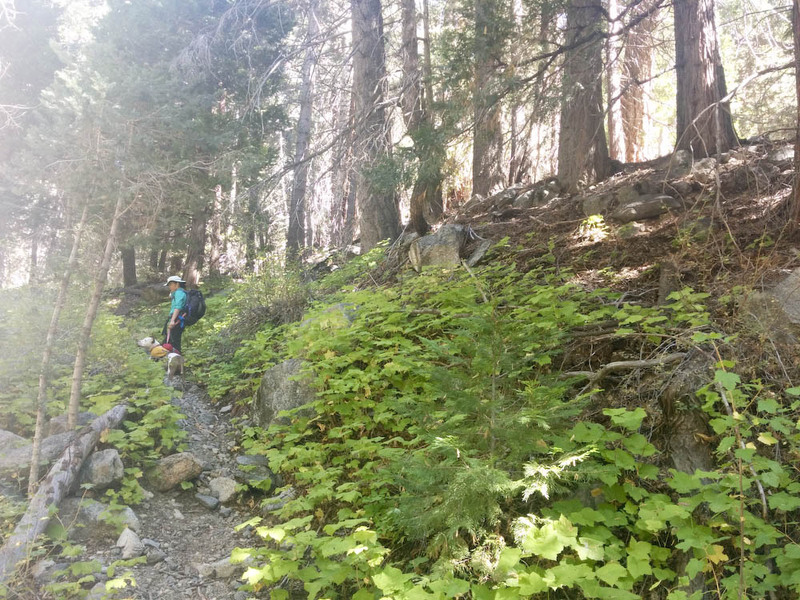 The elevation leveled out after passing Alger campground and the rest of the hike is easy and fast. We reached Dodds camp early in the afternoon, we brought our Six Moon Design Cuben Fiber Haven tent and Edwin brought his brand new Tarp tent. I laid down in the sun for a pleasant afternoon nap while Dakota watched over me. 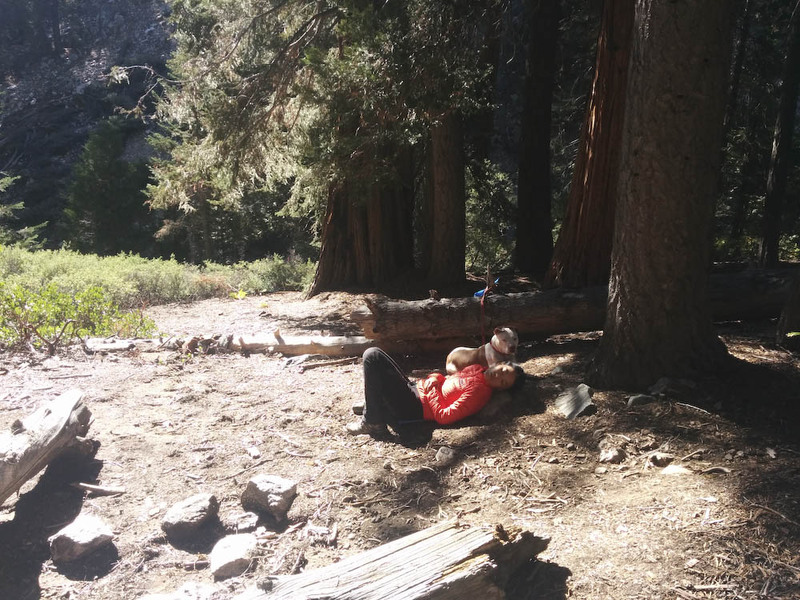 Her watchfulness didn’t last very long, she fell asleep shortly after this photo was taken. This photo above was taken at the creek next to Dobbs camp. Even in late fall when water is usually at it’s annual low, the creeks on this trail are still fully flowing, making the camping trip very pleasant. We think this is because Momyer Creek is at one of the lowest points in the area. 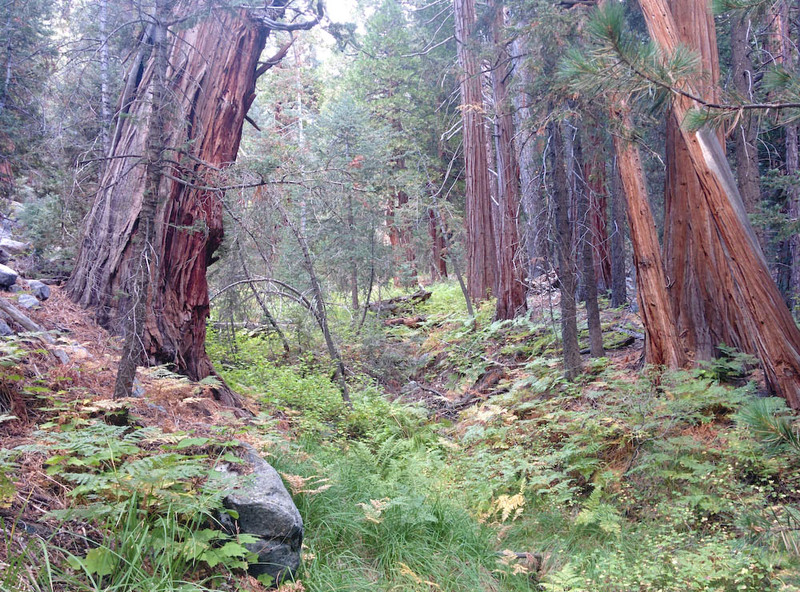 The lush landscape around our camp, this almost looks like Pacific Northwest, not Southern California! Family photo at dusk, the temperature got down to the low 40s that night. 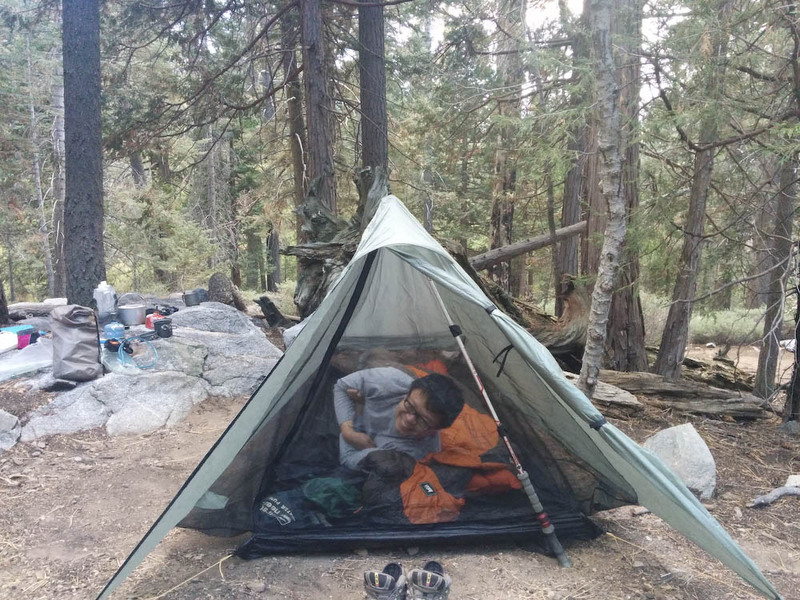 This entry was posted in Trail Reports and tagged backpacking, camping, dogs, gear, outdoors, Southern California, tent, traveling by hikenoworklater. Bookmark the permalink.